* click <download> once only. It may take up to 30 seconds for the form to appear on the screen. Financing available for vehicles a Buyer finds being sold privately, or a Seller can advertise financing is available on the vehicle they are selling. This program is available throughout Canada (except Quebec) to licenced approved dealers or individuals looking to finance their dream vehicle. The Powersports/RV financing program is designed to provide a dealer with an additional finance option for their customers. 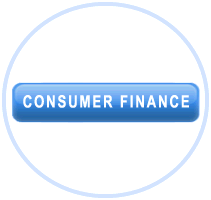 Finance West works with many automotive related and other businesses in Alberta and across Canada. We are pleased to recommend these companies and services. For your convenience you can complete your Automotive, Repair, Powersport/RV and Commercial credit application online or download it if you prefer. Finance West Inc. Customer Testimonials. Read our reviews or write your own Testimonial. Questions? Dealers or Consumers please contact us via email or phone, we look forward to helping you. Copyright (C) 2018 Financewest - All Rights Reserved.